Wall mounted LED lights are perfect for rooms where you want layered lighting. An interior wall light can be use to balance overhead lighting sources, make a space look brighter and larger and more welcoming, and be used to create a variety of different moods in your home. 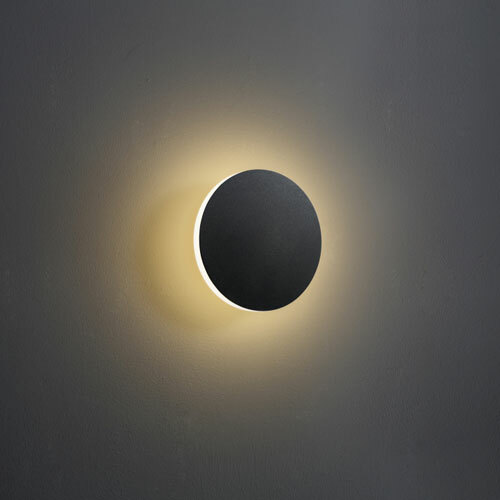 Here is a look at some of the different uses of Indoor wall lights and the various moods they can create. Using indoor wall lights in the bathroom on either side of the bathroom mirror can not only give you good lighting for applying make-up or shaving it can also give your bathroom a feeling of luxury much like a spa. Wall Mounted LED lights in the bedroom can serve as both reading lights for those people choosing to read in bed. They can also be used in other places in the bedroom to create soft romantic lighting for those romantic evenings with someone you love. Indoor wall mounted LED lights can be used to wash a wall creating a homey atmosphere or be used strategically to show off your art work hanging on the wall. It can also be used in combination with overhead lighting to make your room look larger. Wall mounted LED lights in your dining room can create a relaxed environment for enjoying both casual and more formal meals. They can also be used to create a romantic atmosphere for those special dinners with a loved one or someone you are dating. Interior wall lights can be used to light up stairways and provide safety for those going up and down stairs during the night time hours. Why Choose Wall Mounted LED Lighting? LED lighting is more economical that standard lights since they are far more energy efficient and the bulbs last for 20,000 hours or 20 times longer than traditional light bulbs. LED lights are also better for the environment because you use less bulbs and LED bulbs do not throw off CO2 like standard light bulbs due. They will also save you money in the long run since they are more energy efficient and you have to purchase fewer bulbs. Here at Ultra Beam Lighting we carry a number of LED wall mounted lights. Our lights are unique for the following reasons. Our Own Unique Designs- Our interior wall lights are our own design, which means that they come in unique styles that are not found in other lighting stores. High Quality Products- We use the highest quality materials when making our lights which results in a high quality finished product. 3 Year Guarantee- Our LED wall lighting comes with a 3 year guarantee, which is longer than guarantees from most other lighting companies. Our Wall Mounted LED Lights are perfect for both home and Commercial Use- Our LED wall lighting are perfect for both home and commercial use. In fact, our lighting is used in a number of different chain hotels here in the UK. If you are looking for wall mounted Led lights give us a call at 0800-678-5156 and we will more than happy to help you. Do keep in mind that when installing any type of lighting in your home or business your lighting should be installed by qualified electricians.